Prepare for the board exam with each chapter’s NCLEX-style study questions. 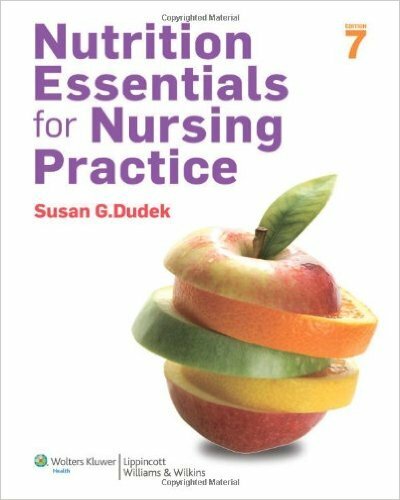 Apply nutrition concepts to real world scenarios through intriguing case studies in every chapter. Get involved in real world clinical challenges with 24 online Disease-Oriented Interactive Case Studies. Each case study ends with ten NCLEX–style test questions and five open-ended critical thinking questions. Be ready for teachable moments with patients through the popular Quick Bites features that offer short, compelling food details and facts. Test your knowledge with chapter-opening True/False questions tied to chapter Objectives. (An answer key appears at the end of the chapter). Access a range of useful tools, including Sample Diets, Dietary Reference Intakes, dietary guidelines for the United States and other countries, MyPyramid for Moms, and coverage of nutritional needs throughout the life cycle. Learn to think on your feet in challenging clinical situations with chapter-ending How Do You Respond?sections. Master the content of the course with key terms defined in the margins and chapter-ending key concepts, as well as easy-to-understand tables, and visuals. Find the most up-to-date and reliable nutrition resources online using chapter-ending Web addresses. You can also access the latest research through the wide range of current journal articles posted on thePoint.